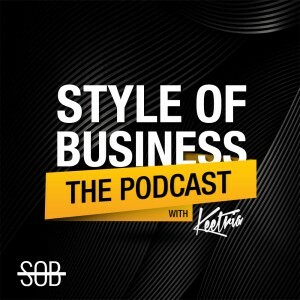 In this 49th episode of SOB: Style of Business podcast, Keetria interviews JazzFeezy about his personal background as a producer, advice for aspiring producers, memorable moments and his perspective on developments in the industry. JazzFeezy is a producer who has worked with Boi-1da, T-Minus among others. JazzFeezy began his career contributing beats and has expanded to creating sample libraries and sync licensing. This episode focuses on the experiences that JazzFeezy has in the music industry and how his career developed (and what lessons he’s learned). Signed to Boi-1da (2010-2012) and contributed to placement in the movie Mandela: Long Walk to Freedom. How does developing a career (and getting placements) work? You’d ask the artist for a “narrative” or “inspiration” are they looking for? Work 10-12 hours per day generating creative ideas, making beats, etc. Where are new artists showing up first? Which producers have been most influential to you personally? What advice for aspiring producers? Get out of the basement and network! Producers often work persistently (as much as 10-12 hours a day), even though not every day will produce a successful result. Sound design is simply any audio result that you produce from scratch that is used as a “sound” in a production (e.g. snare, fx, etc.). Successful producers need to get out of their studios and network, keep learning and build relationships.